Pumas awards night had the peterlee pavilions bar packed this year. All ages ranging from under 8s to open age gathered to receive awards and celebrate another successful year as a club. See below for individual age group review of their season and who picked up the rewards. Pumas first team opened the season with a defeat to Jarrow despite turning out a weakened team we really competed and showed promising signs. After that we gathered momentum and picked up 4 wins and 1 draw in the following 5 games. We then suffered a defeat against league winners Wallsend by only 2 points. Following that we then won our final 2 league games and made the playoffs where we won our first 2 games but then unfortunately due to having a severely weakened team and no coaching staff lost to Jarrow and couldn't make the grand final. However we picked up a 3rd place finish in the league and showed the north east rugby league community that we are most certainly back on track to being the top team in the north east! With some hard work in training and more strength in depth next season we will definitely be pushing for the top spot. The u16's started their season slowly and suffered some bad defeats, however they grew as the season progressed and ended up making the Shield Grand Final. Had they had more players down training to join the 10 or so players that were their every week they would have had a very good season. 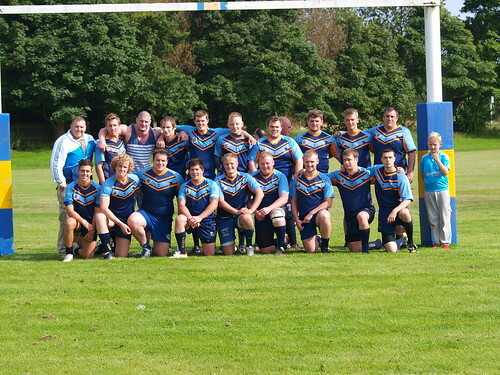 Thank you to all the lads that turned up week in week out and we hope to see you playing within the open age set up next year! 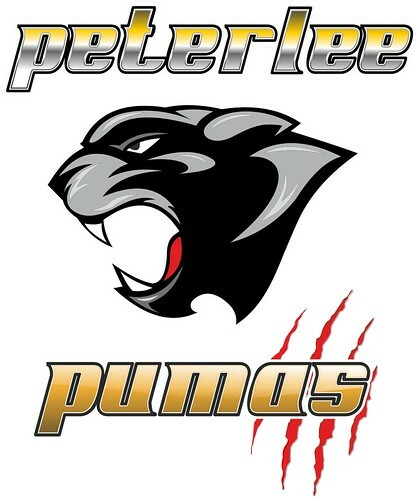 As people may or may not be aware the founder of Peterlee Pumas Rob Laverick has decided to take a back seat roll. 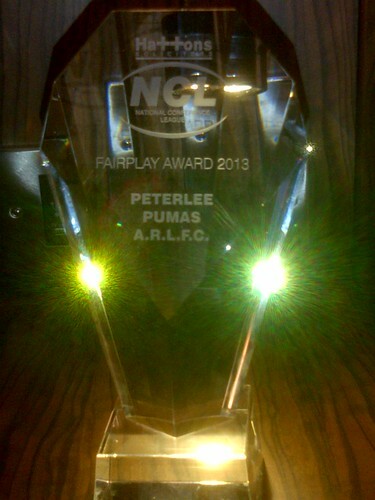 We'd like to thank Rob for all the effort, hard work and money he has put into making Pumas what they are today. Thank you to everyone who contributed on rewards night towards a collection for Rob to say thank you for the club.! We would like to mention a special thankyou too the following people for their hard work all season. Without them this club would not run as smoothly as it does, so thank you to all the coaches, Helen Taylor, Helen Ivey, Charles Ivey. We would also like to thank anyone who played for the club this season and making it a good season overall. We would like to also make a special thank you too the people who donated raffle prizes!